Prof. Eric Goffin is Full Professor of Medicine from the Université catholique de Louvain (UCL) in Belgium. He is working in the Nephrology Department at Cliniques Universitaires St-Luc, Brussels. Prof Goffin had completed his training in Nephrology and Kidney Transplantation at the UCL and at the School of Clinical Medicine at Addenbrooke’s Hospital, University of Cambridge, UK. In the Nephrology team, he is responsible of the self-care dialysis unit (Peritoneal Dialysis, Home Hemodialysis and Hemodialysis within a self-care satellite unit, the Carpe Diem) and co-responsible of the evaluation of renal graft candidates and of the post-transplant outpatient clinic. 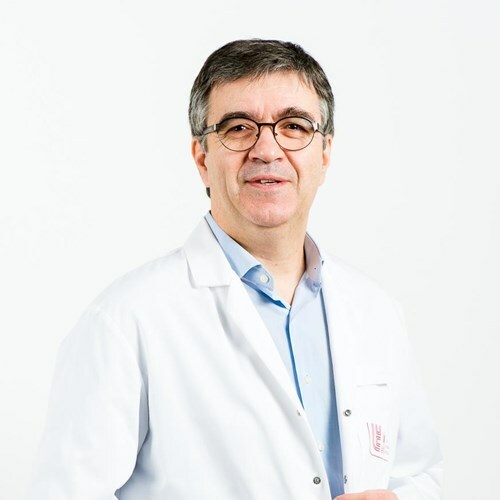 Throughout his career he authored or co-authored numerous abstracts and over 160 scientific articles and has been an active member of several scientific committees among which the International society of Peritoneal dialysis (ISPD), the Belgian Transplant Society and the Société de Néphrologie (where he just served as President of the Dialysis Commission). In the past decade, Prof. Eric Goffin also participated in the organization of many conferences, lectures and congresses in which he had responsibilities as both key speaker and chairman. His topics of interest include clinical outcomes for Clinical TP, Home HD and Peritoneal Dialysis patients, as well as in peritoneal transport properties.